Some Russian defense news from August 6, 7, and 8, 2012 . . .
Mil.ru provided a wrap on the First Deputy Defense Minister’s press-conference on GPV-2020. Sukhorukov “particularly turned attention” to media reports that the program’s funding will be cut. He told journalists such a step isn’t foreseen, and the government is talking only about “optimizing” the budget load between years by using good old state-guaranteed credits for the OPK. Sukhorukov claims 95 percent of GOZ-2012 has been contracted, and 82 percent of funds disbursed. Arms-expo.ru also covered this story. 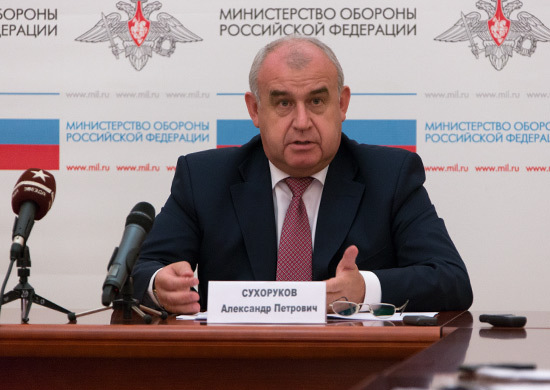 It emphasized Sukhorukov’s statement that the rate of defective arms delivered by producers isn’t declining. According to RIAN, Sukhorukov said Russia won’t buy more Israeli UAVs beyond its current contract. 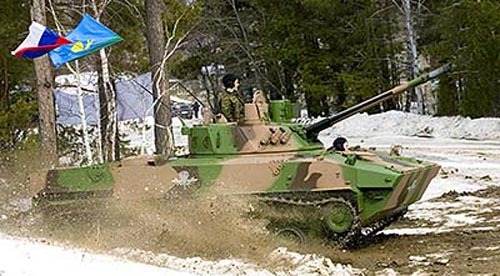 He reiterated the Defense Ministry believes the BMD-4M doesn’t meet its requirements, and won’t buy it. Sukhoy reports it’s now testing the new Tikhomirov phased array radar on PAK FA, T-50-3 to be exact. See RIAN’s story. Sukhoy also announced that its Su-35S is in “combat employment” testing within the process of state acceptance testing at GLITs. The company says it meets all established requirements, and has flown more than 650 times. New Navy CINC, Vice-Admiral Chirkov made an interesting visit to the State Missile Center named for Academic V. P. Makeyev on Monday. The Makeyev design bureau is home, of course, to liquid-fueled SLBM development. Could not find the last time this happened. Might be prior to 2007. Main Military Prosecutor Sergey Fridinskiy told the GenProk collegium yesterday that abuse or dedovshchina in the ranks is down a third this year. But, according to ITAR-TASS, Fridinskiy noted that general crimes exceed purely military offenses by a factor of two. Specifically, he said murders are up by half, bribery has almost doubled, and drug offenses have increased 27 percent. Fridinskiy also said nearly 3,000 GOZ corruption cases and losses worth 400 million rubles were investigated in the first half of this year. He said, for example, Dagdizel received 3 billion rubles in defense orders, but hasn’t sent a single product to the military, and bought farm equipment and building materials with the money. He cited losses in purchasing apartments for military men at inflated prices as well as the problem of unfinished housing projects. Izvestiya claims a large number of young pilots are leaving the Air Forces because the lion’s share of increased flight hours and promised higher pay are going to their commanders and older officers. Could this be a continuation of Igor Sulim’s travails at Lipetsk? The paper also reports a number of cleaning companies say the Defense Ministry owes them 5 billion rubles for housekeeping work outsourced over the last year. Today was the 81st anniversary of VDV’s establishment . . .
VDV Commander, General-Lieutenant Vladimir Shamanov is looking for 20 new An-124 transport aircraft to support his troops by the end of GPV-2020, according to ITAR-TASS. Shamanov told Rossiyskaya gazeta he plans to return to jumping next year, despite injuries received when his vehicle was hit by a truck last fall. Shamanov’s first deputy and chief of staff, General-Lieutenant Nikolay Ignatov also told Ekho Moskvy a final decision on the BMD-4M’s readiness for combat employment will come after upcoming tests at Kubinka. Ignatov talked to Ekho about the VDV’s plans for professional sergeants. He said the VDV will start getting contractees from professional NCO training next fall, and will have only professional sergeants by 2016. They will be “high class” specialists, and platoon and deputy platoon commanders to compensate for officer reductions. The chief of staff said base [rank] contract pay will be 15-25,000 rubles per month, supplemented by a range of duty-related bonuses. Contractees will sign up initially for three years, and their units and divisions will decide if they’re offered a second contract. 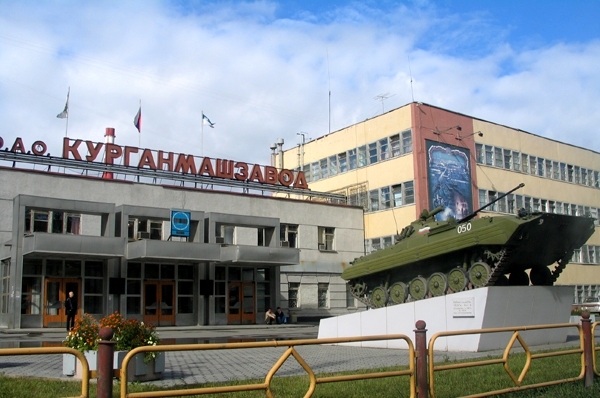 Ignatov spoke disparagingly of the 2004-2007 contract service experiment, in which the 76th DShD served as test bed. He said low pay and the lack of service housing for married soldiers bedeviled the program, and the government should have taken responsibility for pay and benefits rather than leaving them to the division. Ignatov also spoke at length about a new VDV automated C2 system called Andromeda-D, developed by the Scientific-Research Institute of Communications and Command and Control Systems (NIISSU or НИИССУ). He describes Andromeda-D as a division-to-soldier system, with stationary points for commanders down to battalion, and vehicle-mounted systems for tactical units. Andromeda-D has passed troop testing, has been deployed in the 76th DShD, and is in the GOZ to buy it for the 7th DShD, 98th VDD, and 31st DShBr, according to Ignatov. He told Krasnaya zvezda the existing Polet-K system will be integrated into the new Andromeda-D system. He also says the VDV plans to deploy GLONASS receivers in its vehicles as part of its C2 system. VDV Commander Vladimir Shamanov knows which side his bread’s buttered on. 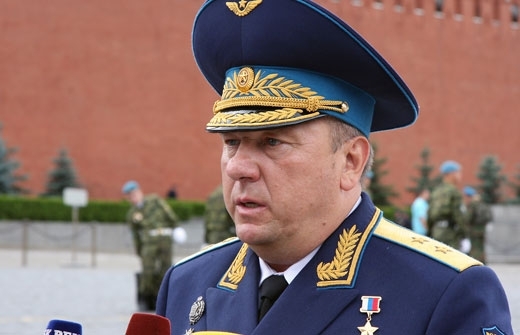 Talking to the press yesterday, Shamanov supported the boss in the storm over his alleged obscenity and грубость at the VDV’s Seltsy training center. In short, Tverskaya, 13 reported the airborne chief doesn’t believe the story about Defense Minister Serdyukov. He denies the boss ordered Colonel Krasov dismissed as head of the airborne commissioning school. As if to assure people the VDV won’t march on the Kremlin, Shamanov added that the situation in his branch is “normal,” and his troops are occupied with combat training as usual. 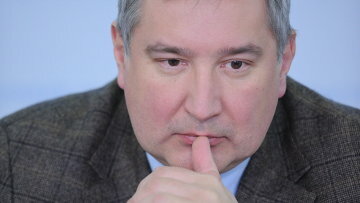 Tverskaya, 13 reported Shamanov saying for the umpteenth time that his branch will remain independent [i.e. not be subordinated to the Ground Troops] under Serdyukov’s ‘new profile’ reforms. He added that the VDV will get the BMD-4M according to the ‘concept’ of GPV 2020. We should recall that Serdyukov may have helped Shamanov on some occasions, and certainly did in one instance. 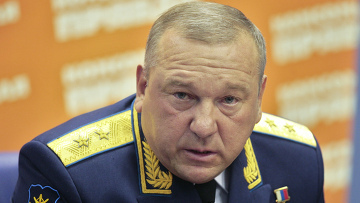 The Defense Minister at least acquiesced in Shamanov’s return to lead the VDV in May 2009. And last September, he helped Shamanov out of his own scandal when he tried to order a detachment from the VDV’s 45th Independent Reconnaissance Regiment to detain an investigator looking into his son-in-law, a well-known criminal figure. Shamanov only got a reprimand for this incident. He could easily have been dismissed. Serdyukov likely retained him because the airborne general is a useful ally. In today’s Tverskaya, 13, Deputy Defense Minister Naginskiy offered an impassioned defense of Serdyukov. Naginskiy was on the Seltsy inspection with the Defense Minister. It isn’t worth it because the abuse of subordinates apparently begins from the Defense Ministry’s very top, and won’t ever be rooted out. Litovkin finishes saying the VDV have nothing to gain from fighting with Serdyukov, and are just trying to silence the whole incident. There will be other defense ministers, but the VDV will always exist. Izvestiya’s Dmitriy Litovkin says his Defense Ministry sources say there were no demands to raze the church. He claims Serdyukov may have wanted to move it outside the base’s gates to ease access for its parishioners. He finds the whole situation odd since there are 200 churches on Russian military property, and next year the army will begin training military chaplains.